Enjoy the unmatched beauty & stand-out style of this stunning double stranded Mother's bangle bracelet design. A double strand of sterling silver tube beads, 14k gold-filled and sterling silver smooth and fluted rounds, Bali dotted & rope-edge spacers and 6 Bali silver letter blocks included FREE. Price above includes a full beaded bracelet with 6 Bali letter Blocks, any "one" stainless Medi-Charm. 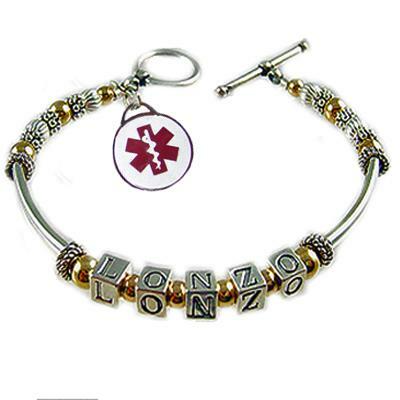 Price includes: One stainless medical id charm with clear-etched engraving and beaded bracelet. 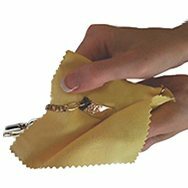 Engraving: Please type engraving in UPPERCASE letters and leave space between words. Thank you.